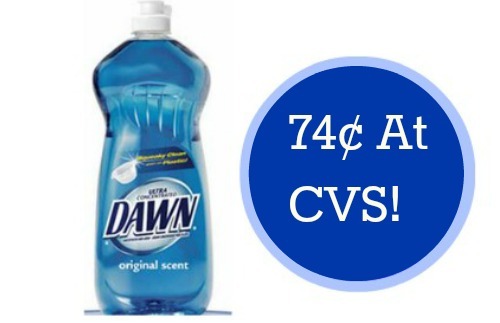 Have you printed the new 25¢ off Dawn Dish Soap coupon? You can use it at CVS this week to get dish soap for 74¢! I always make sure to stock up when Dawn is under $1.